My third annual list. This is mostly personal preference, but with an ear to recommend both popular and obscure (mostly alt-rock and electronic) albums to other music lovers. On this list, albums get either a 1 (best) or 2 (rest); within those two groups, most have equal ground. This may seem like a boring list with no explanations, but pick one of your favorite genres and zero in on just one album. Let loose and enjoy your SELF! Gravity, Philomena, Metropolis, A Room With a View…. These are a few films and TV shows from my list of 2013 films (released in Louisville) or the list of older films that I had never seen before (14 of which are streaming on Netflix). Last year, I summarized my IMDb films of 2012. This year, in October, I created my own custom spreadsheet of movies. Of the older films I’ve seen this year, here are the highlights. I’ve notated the ones that are streaming (at time of publication) on Netflix. I was motivated to watch a lot of these after reviewing the 1001 Movies You Must See Before You Die, particularly if they passed the Bechdel Test. My second annual list. This is mostly personal preference, but with an ear to recommend both popular and obscure (mostly rock and jazz) albums to other music lovers. 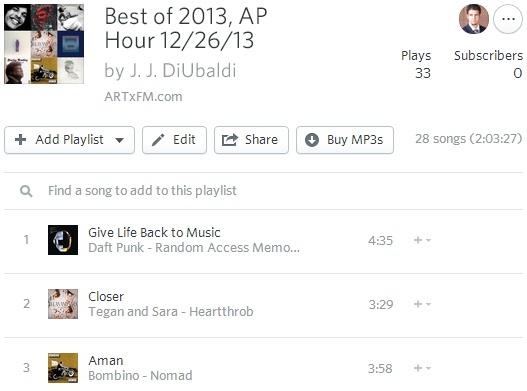 I was invited to play my favorite music of 2013 on The AP Hour, ARTxFM.com radio, 12/26/13. 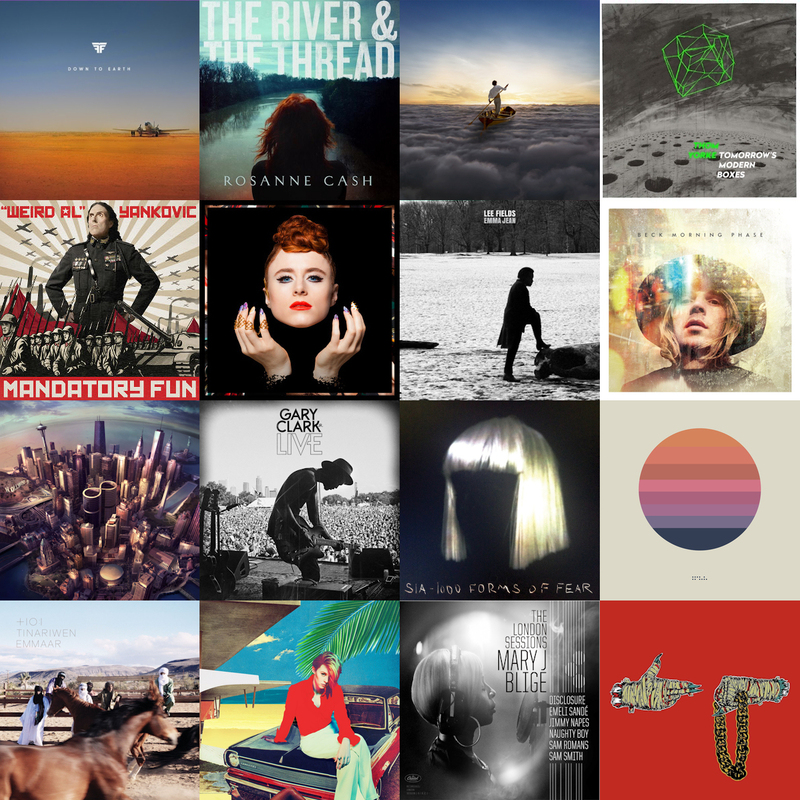 Here are the 13 tracks that I picked, with an additional 74 minutes that I could not fit into the 1-hour show. 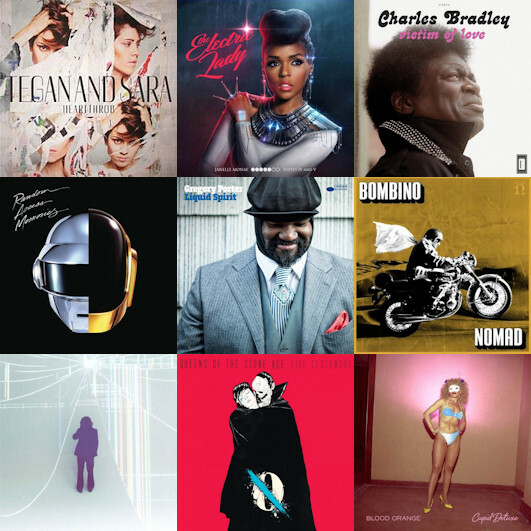 YouTube, Spotify, and Rdio playlists embedded below. 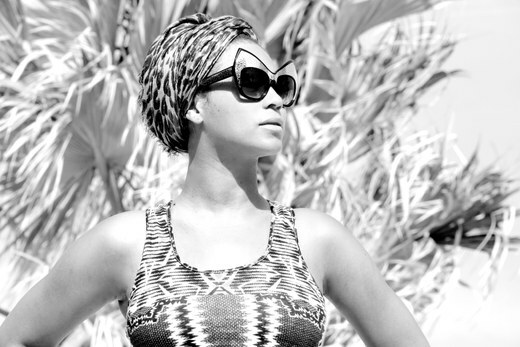 The official Beyoncé YouTube page has posted these 30-second preview tracks (released Friday, December 13, 2013). Here they are in the order they appear on the DVD; the director(s) are listed after each song title. It’s also worth checking out the “Self-Titled” mini art features that followed the release of the album.